For over a decade now, Lilja has been one of the leading voices on the Internet when it comes to covering and reporting on Stephen King's books and movies. 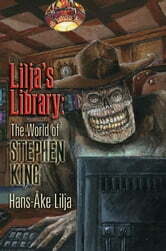 His website, Lilja's Library, is the die-hard fan's source for information about new King projects and breaking news, but Lilja has also featured his own in-depth reviews and interviews with the most important people in King's world, including Stephen King himself. 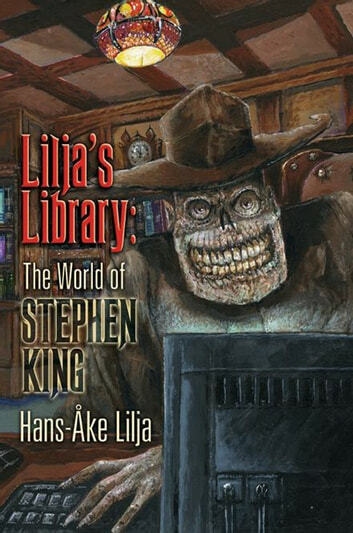 Lilja's Library: The World of Stephen King is a brand new massive collection of over 150 of those reviews, over 40 of those interviews, and other special features of interest to King readers everywhere. If you've never been to the website, you're in for a real treat as you catch-up with over 500 pages of articles and features that are sure to please any kind of Stephen King fan, from the general reader to the die-hard collector. And for Lilja's constant readers, there's original material in this special volume that has never appeared anywhere on his website before, and every article and review has been updated and revised for this release. You have to see the table of contents to understand just how much great material is in this massive book, but just a few of the interviews include: Stephen King (twice! ), Frank Darabont, Marsha DeFilippo, Mick Garris, Peter Straub, and many other people who have been involved in King's prolific career. The reviews include detailed commentary on well-known works by and about Stephen King, along with details about the rare works you might not have heard of, including the original scripts for Hearts in Atlantis, Stud City, and dozens of others; the original pilot for The Dead Zone that never aired on TV; Walking The Mile: The Making Of (a book that has never been released); the Pet Sematary and Secret Window, Secret Garden UK dramatizations; the dozens of Dollar Babies, and more! There are also dozens of brand new features written exclusively for this volume, including interviews with Lilja himself and Glenn Chadbourne; reviews of short films such as "Here There Be Tygers," "Boogeyman," "Walking Ghost," "The Secret Transit Codes of America's Highways," "Night Surf," "Stephen King's Gotham Café," "Sorry, Right Number," "Night of the Living Dead," and others; reviews of the script for "The Mist" and scripts that are currently in development (including Black House and From a Buick 8); reviews of books such asStephen King: A Primary Bibliography, Stephen King: The Non-Fiction, and others; and much, much more! If you're new to the world of Lilja's Library or already a constant reader, this special volume is a must-have for your collection! An exclusive Cemetery Dance Publications release, there are no other editions planned anywhere in the world for this incredible book.